Keep Your Pet Healthy This Year! Here’s a simple plan to help your pet get healthy this year. Take it slow and easy, don’t get overwhelmed, and by this time next year you’ll have taken several small but important steps to improve your pet’s health. · Improve your pet’s diet. Read the label on your pet’s food. Keep your pet on a proper nutritional plan that’s balanced, age-appropriate and suited to any existing medical conditions. If you want to cook for your pet, check out our brochure on healthy diets for your pet. 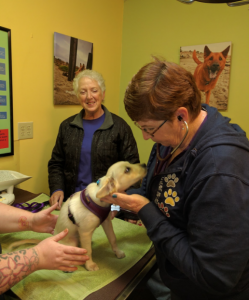 · Take your pets to the vet for a routine check-up and make sure all vaccinations and treatments, such as flea, tick and heartworm, are up-to-date. · Make certain that your pet is spayed or neutered, altered pets are less likely to develop testicular or mammary cancer. · Pay more attention to your pet’s oral care and begin a teeth-brushing/cleaning regimen, as oral care is integral to your pet’s whole well-being and dental problems have been known to lead to other illnesses in pets. · Keep your pet groomed for good health: brushing his coat, cleaning his ears and trimming his nails. 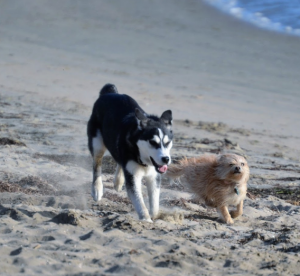 · Make sure your pet gets sufficient exercise to keep him healthy and fit. · Stimulate your pet’s mind. Teaching her a new trick, devoting time to interactive playtime and introducing a new toy can help keep her vibrant. · Hug your pet every day, assuring her that she is an invaluable part of your life.